September is an ordinary girl, full of hopes and dreams until she is swept away by the Green Wind and delivered to Fairyland. There, September finds it hard to understand to her purpose and settles on accepting any quest given. Except she doesn't realise that the quest is leading her to something bigger, something Fairyland is desperate for her to do. Accompanied by a book loving creature and a special little boy, Saturday, September embarks on a journey that is bound to test her strengths and courage. These days I find that modern day fairytales make for a great read. 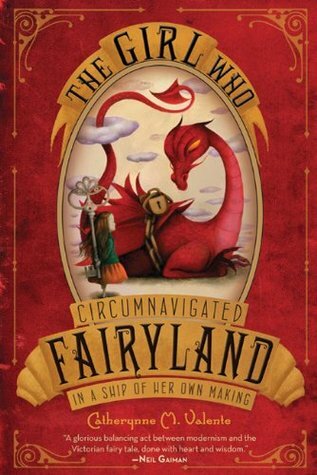 The Girl Who Circumnavigated Fairyland is no exception. There are few bumps along the way but majority of the time I was enjoying it. Interested in buying the book? Do so through here!